Since 2008, Rhino Poaching in South Africa has increased exponentially. On average, we lose 3 rhinos a day and at this rate of poaching, rhinos very well may be extinct within the wild during our lifetimes. The main reason we still have rhinos left to talk about are the brave and committed rangers on the front lines. These individuals put their lives on the lines every day, and are the unsung heroes of conservation. During this presentation, we discuss the drivers behind rhino poaching, the value of rangers, the future of African conservation, and how the Global Conservation Corps (GCC) is taking a unique approach to curb the African poaching crisis. 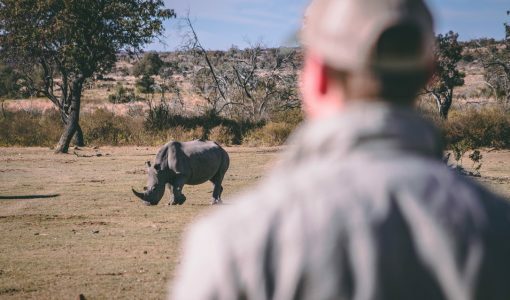 We will also be showing some exclusive footage from the upcoming GCC Documentary: RHINO MAN which highlights Africa’s incredible rangers and their extraordinary lives. Members of the public are invited to this seminar at no charge. Join online or on campus. Tell Me More: Can Rhinos Survive Mankind? Three rhinos are lost every day to poaching; at this rate, rhinos in the wild may become extinct within a decade. In this new Tufts podcast, Dr. Allen Rutberg of Center for Animals and Public Policy at Tufts University interviews Matt Lindenberg of Global Conservation Corps about the unsung-heroes known as rangers, what drives rhino poaching, and what steps can help curb the crisis. The mission of the Tufts Center for Animals and Public Policy is to conduct and encourage the study of complex issues surrounding the changing role and impact of animals in society. 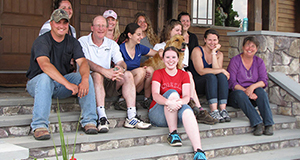 The Center supports the development and dissemination of research driven policies, programs and practices that benefit both people and animals. Work conducted by the Center is based on the tenets that animal well-being matters, that animal and human well-being are linked, and that both are enhanced through improved understanding of human-animal relationships.